3:08 Awareness is the goal and the movement is the tool. 4:49 What does the self mean? 6:20 ...once I embody the music, once I can feel the music in my whole self, the tone of the muscles was different. 10:11 What Dr. Feldenkrais called organic learning—from sensing and feeling and learning and the interaction with the environment around you, the nervous system makes order out of the chaos. 12:02 To feel in myself, yes that’s right for me. This is the feeling I like, and sometimes even if it’s socially not that popular. I didn’t have to always get social approval for what I felt was an improvement or a pleasurable state of mind and state of being. 12:28 I wasn’t as compulsively socially dependent. And when I got to that place, then of course, the social life became a little bit easier because you don’t have so much trepidation all the time, as I did when I was very young. 12:52 “How has Feldenkrais influenced your experience of anxiety? 15:06 This was a simple way – it was something through human activity which is essential to life. Dr. Feldenkrais used to say “if you improve your movement you improve your life because life is movement”. And I say sound is movement. If you improve your movement you improve your sound. 15:32 ...an easy way to get into this complicated system of a person, of a being, to start to make some order and to bring the attention to the moment where all this is happening. 16 When you are in a height of anxiety everything is painted one color. You feel one big thing—all the way to a panic attack people…here is very little differentiation you do not feel that you’re in charge that you can change the affect. 16:20 Doing Feldenkrais lessons, you start to make distinctions and differentiation…you feel your panic, you can do something else with your breathing or you can do something else with your eyes and then all of a sudden all kinds of patterns like performance anxiety... I could take a step outside of the chaos of feelings and sensations and start to regulate myself and I could actually do it in movement, not just in words because the words are a very small part of our inner life. If words could fix everything we would all be fixed. 20:16 What does it mean to have a good life? 23:17 For artists, for people who had the feeling of wanting to make a lines, to draw because they had the feeling of elegance in line. 24:41 Everything has to be creative, in order for us to feel authentic, to feel that we are all part of this action. It’s really us that is doing what we’re doing. 29:26 All the muscles, all the joints that are involved, all the breathing, the self image, that are involved in the movement, when you can do it like that, everything improves. Your whole system improves. It has to. You can’t improve in a human being, and a skeleton, and the synergy of how muscles work. You can’t really improve one thing without other things being improved. And when you do a full body movement and it improves, everything improves and your health is better. 33:14 There is always a choice. Even if the situation is quite horrible. Aliza Stewart is an internationally respected Trainer in the Feldenkrais Method®. She has been a Feldenkrais® practitioner for 30 years. For the last 20 years she has been on the teaching staffs of numerous Feldenkrais Professional Training Programs around the country and internationally, educating new practitioners in the US, Europe, Israel, and Brazil and is currently the Educational Director of Programs in Boston and Baltimore. Aliza has presented classes, workshops and presentations for many institutions and organizations, among them:T. Rowe Price Associates Inc., The Johns Hopkins University Applied Physics Laboratory, The Kennedy Krieger Institute, The Maryland Medical and Chirurgical Society, The University of Wisconsin at Madison, The Multiple Sclerosis Society of Maryland, George Mason University, and Carroll County General Hospital. She has taught Feldenkrais classes to medical students at the University of Maryland Medical School. Originally trained as a concert pianist, Aliza has a great affinity for the needs and problems of performers. 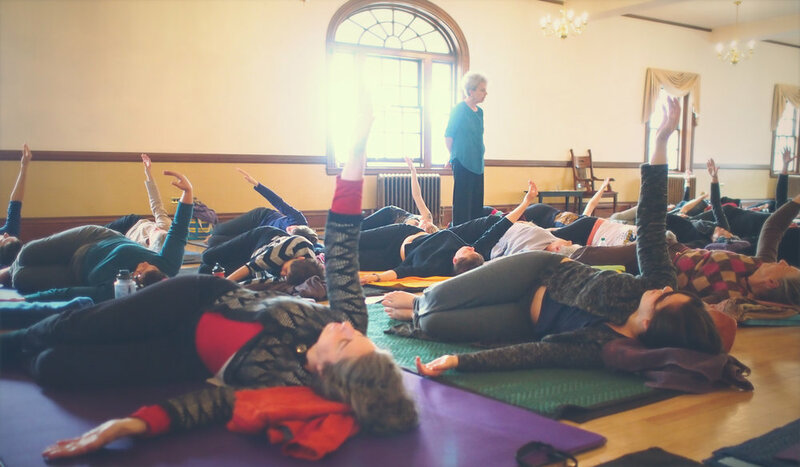 She taught a Feldenkrais class at the Peabody Conservatory of Music and the Mannes College of Music in New York City. For the last 12 years she has been in residence at the Yellow Barn and Marlboro music festivals and has given special workshops at the Juilliard school, Manhattan school of Music and the Feldenkrais Institute of New York. Aliza also worked with students and teachers of El Sistema, the renowned Venezuelan classical music program. In her effort to enhance the musical education of children, she recently has given workshops for public school music teachers. Aliza also applies the Method to working with children with various challenges and often works in conjunction with physicians, physical therapists and mental health professionals to coordinate the care given to a client. She has a private practice and classes at The Baltimore Feldenkrais Center and in New York City. Please share you reflections on the podcast in the comments below. 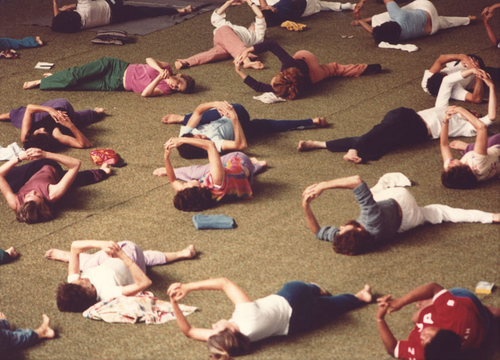 Older PostFree Feldenkrais ATM Lessons all in one place!